Embryogenic cells of bananan cv. Rasthali (AAB) have been transformed with the ‘s’ gene of hepatitis B surface antigen (HBsAg) using Agrobacterium mediated transformation. Four different expression cassettes (pHBS, pHER, pEFEHBS and pEFEHER) were utilized to optimize the expression of HBsAg in banana. The transgenic nature of the plants and expression of the antigen was confirmed by PCR, Southern hybridization and reverse transcription (RT)-PCR. The expression levels of the antigen in the plants grown under in vitro conditions as well as the green house hardened plants were estimated by ELISA for all the four constructs. Maximum expression level of 38 ng/g F.W. of leaves was noted in plants transformed with pEFEHBS grown under in vitro conditions, whereas pHER transformed plants grown in the green house showed the maximum expression level of 19.92 ng/g F.W. of leaves. Higher monoclonal antibody binding of 67.87% of the antigen was observed when it was expressed with a C-terminal ER retention signal. The buoyant density in CsCl of HBsAg derived from transgenic banana leaves was determined and found to be 1.146 g/ml. HBsAg obtained from transgenic banana plants is similar to human serum derived one in buoyant density properties. The transgenic plants were grown up to maturity in the green house and the expression of HBsAg in the fruits was confirmed by RT-PCR. These transgenic plants were multiplied under in vitro using floral apex cultures. Attempts were also made to enhance the expression of HBsAg in the leaves of transgenic banana plants by wounding and/or treatment with plant growth regulators. This is the first report on the expression of HBsAg in transgenic banana fruits. 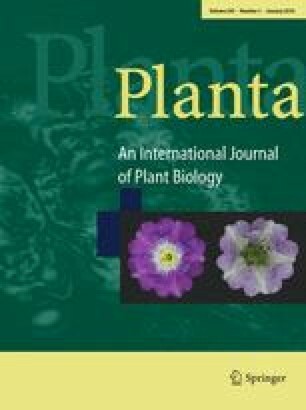 The authors thank Dr. G.D. May, Boyce Thompson Institute for Plant research Inc., Ithaca, NY, USA, for providing the EFE gene promoter of banana.